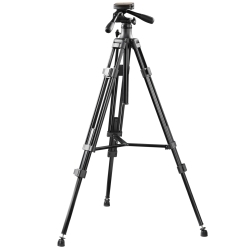 The walimex VT-2210 Video Basic Camera Tripod is an ideal video tripod for your introduction to the world of filming. 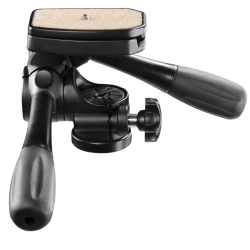 Its two pan handles allow fluid panning motions, and can be locked into position with a simple rotatory motion. 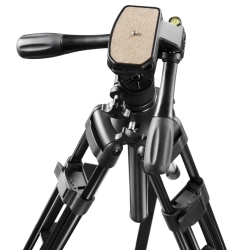 The tripod head can be rotated and tilted on two axes. Fluid panorama shots up to 360 degrees and tilting movements up to 90 degrees are therefore possible without problems. 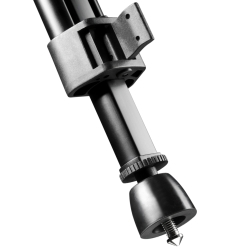 The tripod legs have rubber feet that prevent a slipping on smooth surfaces, and spikes that give grip in outdoor situations, such as in a meadow. That way your tripod stands securely on any surface. The quick-release plate is coated with cork and is equipped with a 1/4 inch connection. That way your camera does not loosen unintentionally. Additionally, the head is equipped with a bubble level for exact leveling of the camera. The VT-2210 is made from aluminum and the workmanship is excellent. 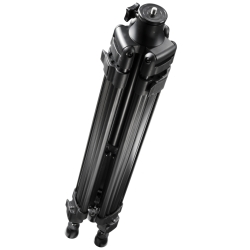 The double aluminum legs and the tripod spreader ensure the necessary stability. 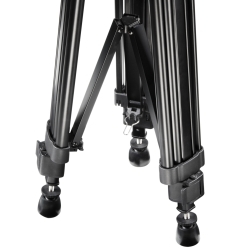 The tripod has a maximum weight capacity of approx. 4.5kg. 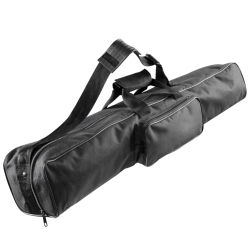 A transport bag is of course included in delivery.